Treat yourself to a night of modern dance, circus tricks, and stunning visual effects with a ticket to the Ionah Show. 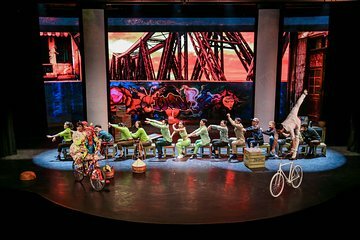 Taking place at the contemporary Star Galaxy Theater in Hanoi's Ba Dinh District, the show depicts a Vietnam love story, with insights into life and culture in Hanoi. There are no language requirements and the storyline is easy to follow through the vibrant dance performance.